Sharon is a Senior Psychologist and a Senior Clinical Lead – Mental Health with the Centre for Rural and Remote Health. She is located in Longreach but works across the Central West and North West regions of Queensland. Sharon completed her PhD research in the areas of resilience, sport and youth. During her PhD studies, Sharon was successful in attaining a grant that enabled her to live in Seattle, USA, for 3-months through a collaboration with the University of Washington. Sharon is a lifespan psychologist who has held senior clinical roles and leadership roles across government, not-for-profit, university and private sectors in the following areas of psychology: health, forensic mental health, mental health, disability, organisational, developmental, educational, research, survey design. Sharon has extensive experience in the areas of training and supervision of provisional and student psychologists, and of allied health workers through collaborative practice models. Sarah is a Clinical Psychologist with a Doctorate in Clinical Geropsychology and a Masters in Suicidology. She has experience working with young people experiencing varying severity of mental health problems and has worked extensively in rural and remote locations. Sarah is a Clinical Psychologist currently teaching at an undergraduate and postgraduate level, and supervising in her role as Psychology Clinic Manager with the College of Healthcare Sciences (CHS), James Cook University. She has completed a Doctorate in Clinical Geropsychology, with a research focus on anxiety in older adults, and a Masters in Suicidology. She has lived and worked for over 20 years in rural and remote locations and is passionate about improving the mental wellbeing of those living in these areas. She is currently the National convener for the Rural and Remote Interest Group for the Australian Psychological Society, and is a council member of the National Rural Health Alliance. Sarah has worked across the lifespan, with varying severity of mental health problems in all sectors of service provision in both clinical and leadership roles. She has been supervising provisional psychologists across different pathways for over 7 years and is approved to provide supervision for clinical endorsement. Jacqueline is a Clinical Psychologist who holds an Adjunct position with the CRRH. She has a particular interest in working with people living in regional, rural, and remote Australia. Jacqueline has spent a number of years living and working in North West Queensland and is currently based in regional New South Wales. She has a warm, friendly and approachable manner and she works creatively and collaboratively to provide evidence-based treatment that is tailored to meet the specific needs. Jacqueline is experienced in providing treatment for a wide range of psychological and emotional problems, across lifespan and culture. Jacqueline uses a systemic framework and is experienced in Cognitive Behavioural Therapy (CBT), Acceptance Commitment Therapy (ACT), Schema Therapy and EMDR. Her education background includes Doctor in Clinical Psychology, Master of Science, Bachelor (Honours) of Psychology. Jacqueline is approved by the Psychology Board of Australia to provide all types of supervision program (pathway) including provisional, general and clinical endorsement. L to R: Eileen Kuruckchi, Dr. Sharon Varela, Tracey Weatherilt, Natalie Conway, and Ann Lord. 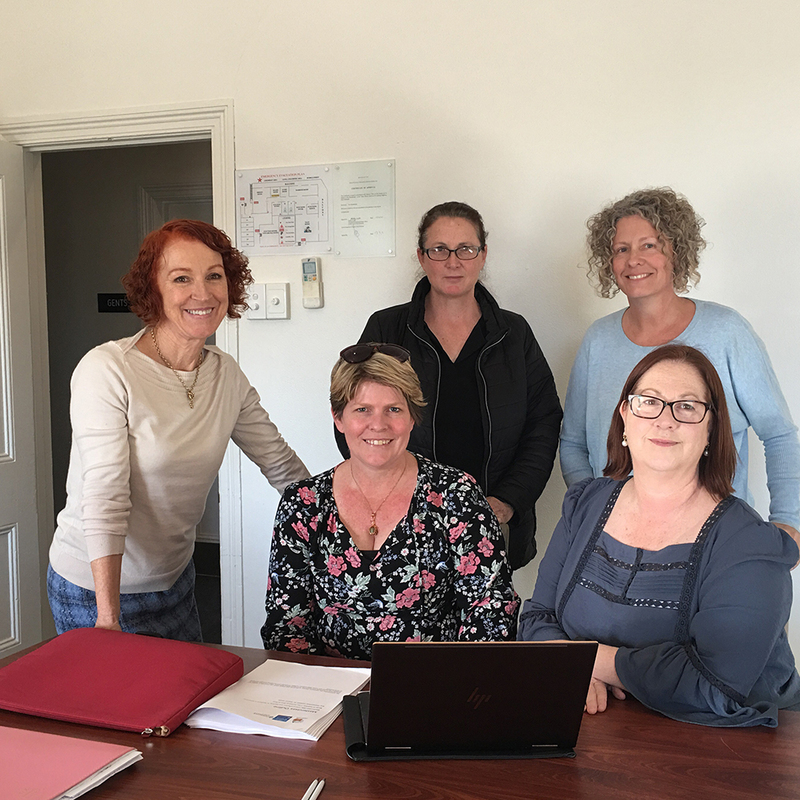 The CRRH-CHS are pleased to welcome Eileen Kuruckchi, Tracey Weatherilt, Natalie Conway and Ann Lord to our Training team. Eileen, Tracey, Natalie and Ann are Adjunct employees with the CRRH and bring a wealth of experience in school-based psychology. Ann is a senior school psychologist who has worked across metropolitan, rural and remote locations. Ann has more than 24 years experience as a school psychologist and in public service positions, providing training to school psychologists, teachers and school administrators. Natalie is a Senior Psychologist with over 12-years experience working with clients across the life span and with diverse multicultural client populations, including Indigenous populations across the Mid-West, Kimberley, Pilbara and Goldfields regions of Western Australia and migrant and refugee populations in Tasmania. In addition to this she has experience working in metropolitan, rural and remote schools in Western Australia and Tasmania and across Government, Catholic and Independent education sectors (kindergarten to Year 12). Prior to working in education, Natalie worked within the Not-for profit, Federal and State Government sectors. Eileen is a senior school psychologist with more than 28-years experience across metropolitan, rural and remote locations. Eileen has extensive experience writing and delivering training within the Department of Education (for students, staff, and psychologists) and is an accredited trainer for Triple P programs. Eileen is also very experienced as a supervisor and mentor of other psychologists. Tracey is a senior school psychologist with more than 24-years experience across metropolitan, rural and remote locations. 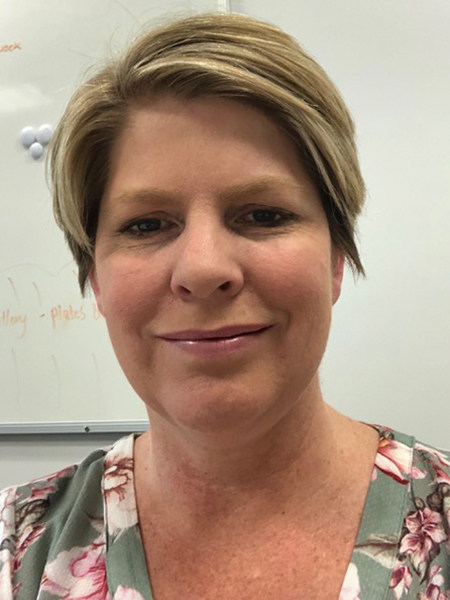 Tracey has extensive experience writing and delivering training within the Department of Education (for students, staff, and psychologists); is an accredited trainer for Youth Mental Health First Aid and Triple P programs; and has taught TAFE courses as a visiting lecturer. Tracey is also very experienced as a supervisor and mentor of other psychologists. What does the Board require me to do to maintain my approval as a psychology supervisor? *This is because part 1 does not integrate and assess both knowledge and skills as is the case in a Masterclass, and part 3 does not have sufficient assessment of theory and knowledge and cannot be taken alone (Part 1 and Part 2 are pre-requisites for Part 3). Is a Masterclass a general refresher? It is important to note that a Masterclass is NOT a general “refresher” course. You are expected to stay up-to-date with the program requirements of your supervisees, and your requirements as a supervisor. A Masterclass focuses on one specific topic relevant to supervision. When should I complete a general refresher? Do I need to complete more than one Masterclass to maintain my Board approval to supervise? You are under no obligation to complete more than one Masterclass in a 5-year period; however, if you are encouraged to complete more than one Masterclass if your supervisor self-assessment highlights development areas in your supervision skills. What is a supervisor self-assessment? Psychology supervisors are required to self-assess against the supervisor competencies listed in the Guidelines for Supervisors publication: https://www.psychologyboard.gov.au/Registration/Supervision.aspx. Where can I find answers to my questions about becoming a psychology Board approved supervisor? Will the Masterclass cover the general requirements for the different registration programs? The Masterclasses will focus on skill development in the topic area listed on the website. You are expected to stay up-to-date with the program requirements of your supervisees. If you have any questions about the provisional registration programs you are welcome to ask these questions of your Trainer. Your Trainer will be happy to discuss any of the questions raised by workshop participants. What are the provisional registration programs? Psychologists are required to complete six years of study before they can be considered for general registration as a psychologist. Some psychologists complete their final two years in the work place, some choose to complete their final two years through a university higher degree, and others choose to complete one year through a higher degree and one year in the workplace. The provisional registration program refers to these pathways as: 4+2, 5+1 and accredited professional degree (higher degree pathway). The guidelines can be found here: https://www.psychologyboard.gov.au/Registration/Provisional.aspx All pathways require psychologists to meet standard competencies before they can become generally registered as a Psychologist. I have successfully completed a Masterclass, what do I do now? When you have completed a Masterclass you will be provided with a certificate of completion. You will need to provide a copy of this certificate and a completed Board form 'MBAS-76 Application to maintain Board-approved supervisor status' (https://www.psychologyboard.gov.au/registration/forms.aspx) to the Psychology Board of Australia before your deadline (the date the Board says you need to have completed a Masterclass by). What training do I need to do to become a PsychBA approved Psychology supervisor? You will need to complete all three parts of the full training: Knowledge Assessment; Skills Training; and Competency Assessment. More details about this training can be found here. When will the full training be available? The CRRH-CHS have recently been approved to provide the full supervisor training package to Psychologists who want to become supervisors. We have a 12-month development timeline to ensure we are providing you a quality program that will prepare you for your new role as a supervisor. We expect to have Part 1 (Knowledge Assessment), Part 2 (Skills Training), and Part 3 (Competency Assessment) available by early 2020. More details about this training can be found here. I have successfully completed all three parts of the full training, what do I do now? supervisor’ (https://www.psychologyboard.gov.au/registration/forms.aspx) and attach evidence that you have successfully completed the training (either a copy of the three separate parts of the full training OR a certificate that clearly states you have passed all three parts of the training). How are online (videoconference) Masterclasses delivered? Online masterclasses are delivered ‘live’ using Zoom (https://zoom.us) interactive video conferencing technology. This enables the trainer to ensure that participants are actively involved in workshop exercises and group discussions, and allows participants to interact with each other and ask the trainer questions during the workshop. Am I eligible to complete an online (videoconference) Masterclass? If you are not completing the masterclass to meet Psychology Board of Australia requirements then you are absolutely eligible to complete this masterclass – regardless of where you live or work, or what health profession you belong to. If you are a Psychologist who is meeting registration requirements, eligibility will depend on where you live. The Board has allowed video conference delivery of masterclasses to improve supervisor training accessibility in outer regional and remote areas of Australia, and in turn to increase accessibility of regionally and rurally-based Board-approved supervisors. Therefore, video conference master classes will only be approved for delivery to outer regional, remote or overseas-based participants. Participants in major Australian cities and inner regional areas are expected to attend a face-to-face masterclass. The Board uses the Accessibility and Remoteness Index (ARIA+) as a guide to define outer regional and remote locations within Australia. The Board generally considers participants based in locations with an ARIA+ remoteness score of 2.4 or over (i.e. outer regional, remote and very remote) or based overseas as eligible to participate in video conference master classes. Participants based in locations with an ARIA+ remoteness score below 2.4 (i.e. inner regional areas and major cites) are generally not considered to be eligible to attend a video conference masterclass. To assist with determining remoteness scores of Australian locations, see the Australian Bureau of Statistics website and their interactive map. Email is the preferred contact method. The email account is monitored, and you will typically be contacted within 48 business hours. If your matter is urgent, please call the number below and ask for Sharon Varela or Amanda Kaminski.